What happens in Minsk, is felt in Minneapolis. What happens in Hong Kong, reverberates in Houston. What happened in Paris on January 7, 2015 broke my heart. The terrorist attack on the offices of French satirical magazine Charlie Hebdo, which took the lives of 12 (as of today) didn't take as many lives as were lost on 9-11 or the July 7, 2005 London bombings, or the March 11, 2004 Madrid train bombings. But it is the slaughter of those whose "weapons" were pens, pencils, paintbrushes and words. Charlie Hebdo is the French weekly magazine that has been under threat by Jihadists for years. In 2006, they reprinted the original Danish satirical cartoons featuring the prophet Mohammed and added some additional images seen as offensive by Jihadists. Many of us remember well the events of September 11, 2001, during which thousands of innocent men, women and children lost their lives to unbridled terror and madness. The youngest who died on 9-11 was 2 1/2 year old Christine Hanson, who was traveling with her parents Peter and Sue aboard United Flight 175, which struck the World Trade Center South Tower. The oldest was 85 year old Robert Grant Norton, a passenger on American Flight 11, the plane that struck the North Tower. Neither could be seen as much of a threat to Islamists; the only remotely military-related attack on that horrible day was American Flight 77 which hit the Pentagon, taking the lives of more than 150 military and civilian personnel and all aboard the plane, including a group of 5th and 6th grade children and their teachers, who had been on a once-in-a-lifetime trip to see the California Channel Islands, sponsored by National Geographic. These were the "threats" whose lives were taken in a war they knew little to nothing about; a war we still do not fully-understand. I was a classroom teacher at Chapman University and Saddleback College in the fall of 2001. While I never experienced the sense of "entitlement" that the Chapman students showed prior to 9-11 from my Saddleback students, who were primarily working students attending college part-time, I saw a change in all students – wealthy and less-wealthy alike – after that terrible day. Students who didn't do their homework suddenly started. "Average" students became straight-A performers. I noticed a new tone of respect for the work in the classroom, and for fellow students' opinions and ideas. I can best describe the reaction to the attacks as "becoming fully-present." This "afterglow" of awareness lasted two or three semesters before fading back into "normal student behavior." Being present means we must take the pain along with the pleasure of living. The murder of the creative artists, the mockers, the happy, sardonic Gallic humorists at Charlie Hebdo, is the intersection of madness and evil with "normal" life. It is almost inconceivable to us in the west that anyone would murder over any cartoon — we have a long tradition of egregiously offensive visual and written material intended to evoke laughter, not bullets. It is inconceivable to Islamists that they could tolerate any type of mockery of their beliefs; they cannot conceive of their enemies in the west who gladly mock anything thought to be sacred. For every limited, small Mohammed cartoon mockery, there are literally thousands of sacriligious images mocking Jesus Christ, the Virgin Mary, and other sacred Christian images. The "Piss Christ" artwork is legendary — a lot of faithful Christians and others with a basic sense of respect for others' beliefs didn't like that image one bit — but the creator Andres Serrano, who put a crucifix in a jar of his own urine, took a photo, and called it "art," is very much alive, well and showing in major museums around the world. For at least the past year, I've been thinking about the more insidious, slow, permanent and all-inclusive sort of censorship. The censorship we apply to our own selves – whether consciously or subconsciously. I can speak only as a female writer of my time. I cannot say what it is that men self-censor from their work. I cannot speak to the self-censorship of those who are of different racial, ethnic and family backgrounds from myself, or of different generations and nationalities. We here in the United States live in a country whose formal, legal defense of self-expression is almost absolute. But what the law tells us we can do has little to do with what we do of our own accord. Some take a glaring, elementary approach, like "Piss Christ" artist Andres Serrano. It takes little thought or effort to incorporate bodily fluids with revered images – this is what Serrano's "art" is known for. Many people probably wanted to kill Serrano for his use of Christ's image (and other Christian images), and ironically, French protesters apparently did destroy one of the offending images. But they did no harm to Serrano himself. It's more like – what stories are we telling because they are our stories, the ones that only we can tell – and which are we telling because . . .
We've attended a writing conference and been advised of the right and wrong way to create "work that sells"
From the woman's perspective, from my perspective, I can look back at 20 years of work and have clearly identified – I have yet to sell a story, much less a novel, with a female protagonist over age 25. I haven't sold a story about a mother of any child professionally except for "The Color of Time," which appeared in Zoetrope 15 years ago. I'm not a romance writer, so that has always ruled out stories with older female protagonists (even in that market, a tougher sell than younger protagonists) in romantic circumstances. Even now that I look back, I self-censored myself with some of my best work, "Perfect Stranger," a story told by my all-purpose Dad Gary, who spends the 5,000 words thinking about what it means that his son has had dozens of genetic treatments – first, to save his life, then to "improve" him in various ways (taller, thinner, smarter, better-looking, no zits, etc.). Gary's thinking that maybe his son Denny is a monster now, and no longer the boy he and his bossy wife gave birth to 15 years before. He's thinking, "Maybe I should kill him." I can't say where a mom and daughter in that circumstance would go – but I can see it would be a very different story. Nobody's going to shoot me for writing about a 70-year old female archaeologist. I do not seem able to sell that work professionally in the North American market. I have written two stories on the same concept (parent clones child for companionship, then falls ill with cancer and must make a choice regarding their cloned child – the best transplant option). The one with the father and son: that's a Writers of the Future-winning story. The better one, with the mother and daughter? That appeared in small press after years of submissions to all the usual, best suspects, and is in one of my short fiction collections. Writing something about somebody who's outside of the "expected" categories, not doing the "expected" things and avoiding the obvious urine/sacred image approach? To take my 70-year old archaeologist example, that story is based on a real person who is no longer with us, Dee Simpson, who was the archaeologist for the San Bernardino County Museum in Southern California. She often laughed when people would call her the female "Indiana Jones." Well, he's a movie franchise. I can't even publish a single story inspired by her extraordinary life, memory and fixation on finding "Early Man" in the Southern California desert with the help of famous archaeologist Louis Leakey. No bullets killed that story. The world as it stands did. Nobody wants to hear about some old lady digger and bones that never were. Every book made today that achieves any level of sales is marketed based in what readers have bought/read in the past, or to special niche audiences. And contained within this world as it is, is self-censorship on a level that few can imagine. It is inside ourselves, the stories we think are "worth telling." The stories we think that others want to hear. When I learned that "Charlie Hebdo" meant "Charlie Weekly" as in Charlie Brown, I realized why my heart broke so when I learned of the tragedy today. And I realized – there is no bullet or gun or knowitall blaring out hatred to the world who can truly prevail. You see, there was someone who did work outside of the "expected" and who told gentle, life-affirming stories that remain vastly popular today. That man was Charles Schulz. The "hero," such as he was, was the very ordinary boy with a good heart, Charlie Brown, and his friends, including a little dog with big dreams, a great concert pianist, a thumb-sucking, blanket-carrying sensitive kid, and a bossy little girl who always knew best. The last job my mother had before her death from pancreatic cancer in 1962, three months after I was born, was working with her lifelong friend Bill Melendez on the first "Peanuts" cartoon. 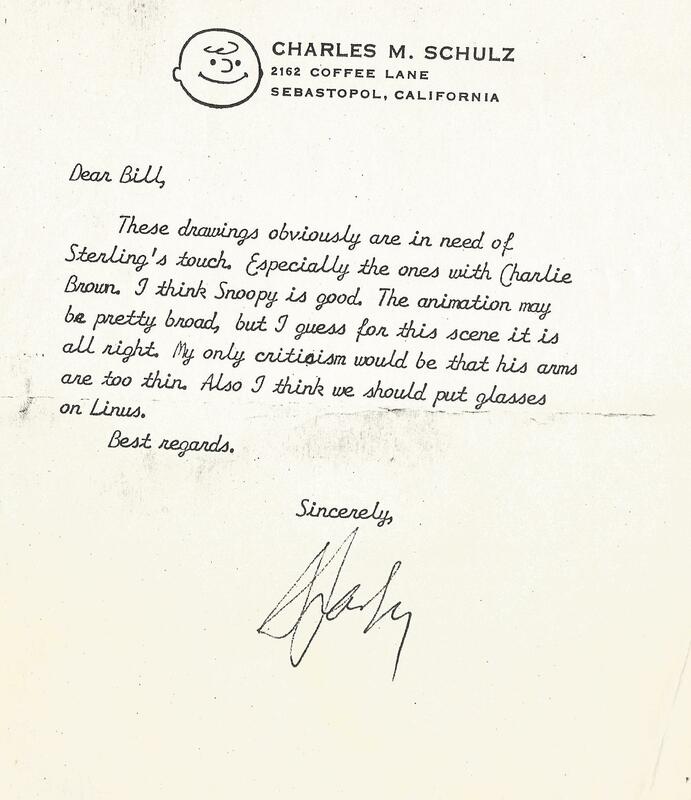 For my whole life, I have had this little letter from Charles Schulz written after her death. 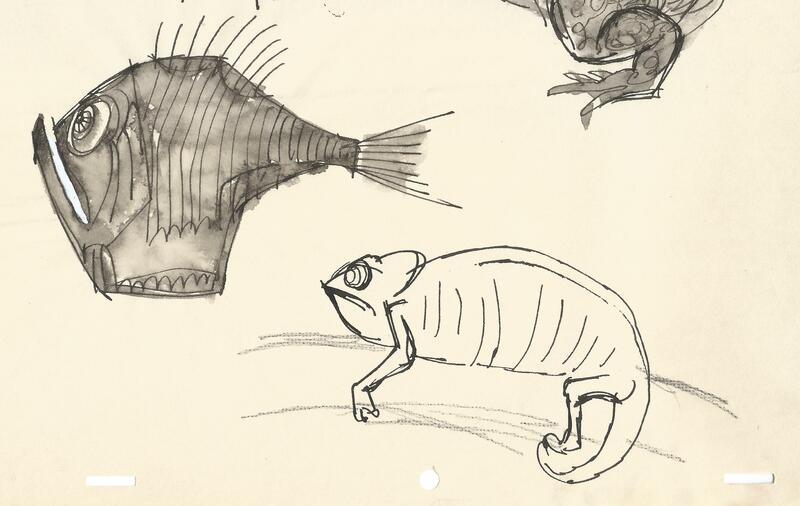 In her sketches, I found a chameleon. Yes, she drew such. As to the great stories, there was no great movement to tell stories about a little hobbit (not even a person!) who saved the world before Lord of the Rings. There weren't dozens of books about a Southern young woman born to privilege whose entire world fell apart, who fell in love with a Northern "carpetbagger" before Gone With the Wind. There weren't hundreds of stories about a poor boy who traveled down the great river with a black man, learning lessons about life, before Huckleberry Finn. Chameleon Publishing will be doing an enhanced e-book benefit, with art, poetry, fiction and music, to benefit Charlie Hebdo, the survivors and the families of those killed, and the magazine itself. If you would like to participate, please contact me at amysterlingcasil@gmail.com or via Facebook or Twitter. Nothing good ever happened at the point of a gun, but plenty good has happened because of those willing to face those guns and other, more shadowy shapes of evil.